Editors Note: The experiment discussed in this article took place a little more than a week before the Sandy Hook Elementary School Shooting. In fact, while the experimenters were providing the Eufaula responders and City Officials an initial briefing on the results of the experiment, the Mayor's aid interrupted to inform him that the Sandy Hook School shooting had just taken place. At the Ready realizes that one of the primary tasks of responders in this scenario is to get inside as quickly as possible, find and engage the shooter. The advanced technologies discussed here allowed the Eufaula responders to get inside and engage the shooter quicker than they did without them. At the Ready is publishing this information to add to the necessary discussion about ways to more effectively respond in scenarios like this one. For more than a decade, unmanned systems have proven their value to the United States military. These systems provide a means for soldier operators to see what the employed systems see from a standoff distance. Operators fly Unmanned Aircraft Systems (UAS) at varying altitudes to pinpoint enemy locations, monitor activities, survey the battlefield, assess battle damage, and conduct general reconnaissance, among other tasks. Unmanned Ground Vehicles (UGV) are being employed in largely the same roles but also possess the capability for close-in inspection and investigation of suspicious objects, defeat of improvised explosive devices, and operation in other places where UAS cannot be employed. Law Enforcement and other First Responders are just now starting to realize the benefits of these advanced technologies for largely the same purposes. This experiment was conducted December 3-6, 2012 at the Southeastern Equipment and Technology Advancement Center (SETAC) in Eufaula, Alabama to assess the value and utility of advanced technologies for the First Responder in a school shooting scenario. UNEQ chose the Eufaula department because its staff, training, and equipment is representative of police departments serving and protecting the 18,112 incorporated places in the United States with populations of 24,999 people and fewer . There are 18,112 of these incorporated places and only 1,428 incorporated places with populations of 25,000 people or more. These numbers do not reflect the many unincorporated places in the United States. In preparation for the experiment, on December 3, the participating vendors trained personnel from the Eufaula Police and Fire/Rescue Departments. In addition, SEMCO integrated their VDU-100 Video Distribution Unit with RoboteX’s Avatar II Tactical UGV and Air Robot’s AR-100B UAS. On December 4, UNEQ conducted side experiments with the UGV and the UAS to characterize their performance in the operational environment and gain the requisite understanding of their capabilities. December 4th concluded with a pilot test, where UNEQ and the First Responders ran the scenario with all data collectors in place, completing all required data collection instruments. During the pilot test, experiment staff conducted a shakeout of data collection procedures to insure the effectiveness of the data collection instruments. On December 5, UNEQ and the First Responders conducted experimentation for record by conducting two iterations of the school shooting scenario. 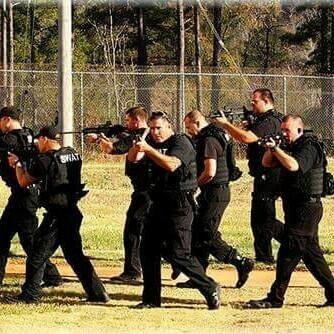 UNEQ chose to use a school shooting scenario because it fully taxed the Eufaula First Responders and thereby allowed them to employ each of the technologies to their fullest potential. UNEQ conducted the two iterations; a base case, where the First Responders responded with just their organic equipment; and a technology case, where they responded with the Avatar II, and the AR-100B, both with the capability to distribute their video. 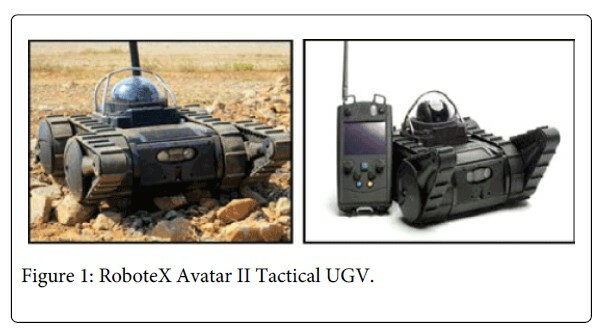 Avatar II Tactical Robot (RoboteX). The RoboteX AVATAR II (see Figure 1) is a small ground robot whose dimensions are 24.41 in. x 15.35 in. x 6.14 in. It weighs 25 pounds without the battery. It has a reported operating range of 300 meters and can operate for approximately 4-5 hours. The Avatar II has a wide-angle color drive camera that allows the operator to see what the camera sees. It comes with a variety of accessories that provide additional capabilities. 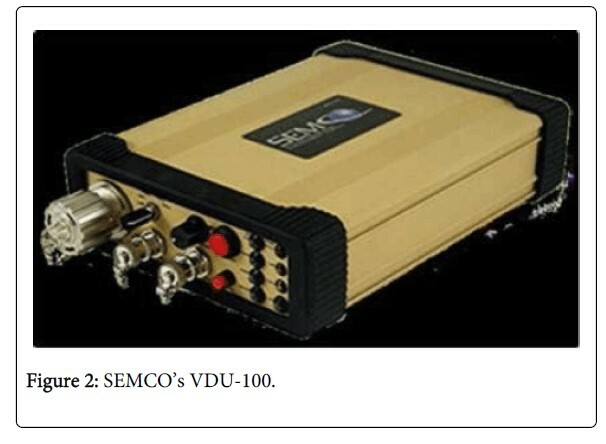 VDU-100 Video distribution system (SEMCO). The VDU-100 (Figure 2) allows the user to encode and transmit video using several wireless and wired transmission modes from its point of collection to essentially anywhere in the world on a near realtime basis. Users can view the decoded video simultaneously on an unlimited number of commercial devices. The viewer(s) can control camera pan, tilt, and zoom functions, perform video enhancement, and adjust frame rate and resolution. With a laptop or PC as the viewer, the user can record video or photos locally. 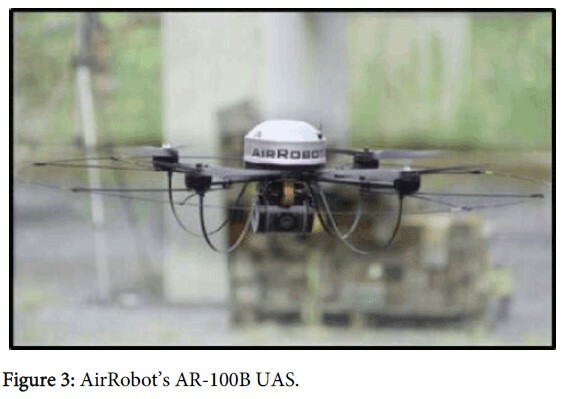 AR-100B Micro unmanned aircraft system (AirRobot). The AR-100 (Figure 3) is a Vertical Take-Off and Landing Micro UAS that weighs less than 2 pounds and is virtually silent because of its electrical propulsion system. First Responders can fly it for close range, stealth Intelligence, surveillance, and reconnaissance operations out of line of sight during day and night operations. While airborne, it provides real time full motion video and IR thermal imaging feed to the ground station where the operator can record it. In both trials, there was one perpetrator, multiple mock explosive devices, and multiple casualties. We mitigated the learning effect and controlled its impact on the experiment by placing the mock explosive devices in different locations (except for the device on the roof), changed the locations of casualties, and changed slightly, the location of the shooter. The advanced technology trial established the value and utility of using the advanced technologies for the accomplishment of this scenario. Analysis of data from the two cases provided the difference in performance afforded by the use of the UAS, UGV, and distributed video system. Both departments responded code 2 (normal traffic), and the response time; while recorded, was not analyzed as part of the experiment data because neither of the unmanned systems would have caused a delay in response or contributed to a quicker response. Had this been an actual school shooting, the Eufaula departments most likely would have called for additional personnel and mutual aid agencies would have responded. This experiment included only Eufaula’s organic personnel capabilities. Scenario Site: SETAC High School campus is located at 315 Outback Road in Clayton, Alabama. The school is a one-story building with odd angled long hallways and thirty-six rooms. The High School sits on a 250-acre campus with separate vocational education, mechanical arts, administrative and storage buildings. As part of a modernization project, the school district recently approved the demolition of two of the buildings and the construction of upgraded buildings in their place. Demolition took place last week and workers had not yet removed the rubble and debris to begin new construction. In the scenario, a SETAC high school student burst into the school brandishing weapons and explosives. He had reportedly killed several students and teachers and threatened to blow up the school and other buildings on campus. The majority of students were able to escape from the main school building, but the gunman was holding hostage an unknown number of students somewhere in the school. The Eufaula First Responders were tasked with diffusing the situation, locating and neutralizing any unexploded ordnance, rescuing the hostages, and detaining the suspect as they would had this been a real school shooting.NOTE: This scenario was slightly different from most mass shootings in that the shooter did not also immediately kill himself; but very much like others where the shooter kills several people then takes hostages or tries to escape. UNEQ purposely set the scenario this way to create an active situation in which the First Responders could exercise the advanced technologies to their fullest and where significant learning could take place. Demographics: Twenty-one Eufaula First Responders, composed of 9 SWAT and 12 Fire/Rescue personnel, participated in this experiment. Their average age is 35 years with an average of 10 years of experience in their respective fields, 6.5 years (average) of which they have spent in the Eufaula force. Typical training for all participants includes Alabama Peace Officer and Basic SWAT training, Firefighter I and II with basic EMS and HazMat. Other participant qualifications include Weapons Instructor, Sniper, Less Than Lethal Weapons, Demolition, Mechanical Breaching, Paramedic, Fire Officer I and II, Apparatus Operator, Fire engineer, Confined Space Rescue, and Weapons of Mass Destruction Awareness. Data collection: Data Collector 1 was with the SWAT team, Data Collector 2 with the EMS team, Data Collector 3 at the Tactical Operations Center, and Data Collector 4 in the position that allowed him to collect the required data concerning the overall scene. For instance, Data Collector 4 started the iterations at the front gate of the campus, moved to the front of the school to observe UAS flights, moved inside the school to observe and record actions with the UGV, and he moved to other locations where action was occurring but not being recorded by one of the other data collectors. The Data Collectors recorded every action taken by their respective elements, how the actions took place, the times at which those actions took place, how their respective elements accomplished those actions, and took notes as required. Baseline Trial: The purpose of the baseline trial was to record the events and actions taken by the Eufaula First Responders in responding to the school shooting with only their currently issued equipment. In the baseline trial, there was one perpetrator, multiple mock explosive devices, and multiple casualties. Advanced Technology Trial: The purpose of the advanced technology trial was to record the events and actions taken by the Eufaula First Responders in responding to the school shooting with the advanced technologies and draw comparisons to the baseline trial. Conclusions. Value is the relative worth, merit, or importance of something. Therefore, relative to the baseline, the advanced technologies were very valuable to the First Responders in this school-shooting scenario. The SWAT team entered the school 34 minutes sooner than in the baseline. They apprehended the suspect 36 minutes sooner than in the baseline; and EMS personnel got visual confirmation of casualties 1 hour and 33 minutes sooner than in the baseline. SWAT and TOC officers made better decisions because they based them on what they saw from video of the scene and what they heard from radio communications between them and the SWAT team. In the baseline trial, they made decisions based on what they heard alone. SWAT and TOC officers moved more confidently along the avenue of approach and selected the point-of-entry with more confidence because they had seen them first by viewing the UAS video. In the baseline, they could not see the entire avenue of approach until they traversed it; and the point-of-entry until they were in it. Even though they still could not enter the scene before SWAT declared it secure, EMS personnel could better plan for treatment and mutual aid support because they could see casualties sooner via the UAS and UGV video. TOC, SWAT, and EMS personnel were better protected because they could see behind the school, in the rear-windows, inside the halls and rooms, and on the roof of the school. In the baseline trial, they could not see behind the school unless SWAT was there. They could not see in the rear windows at all. They could not see inside the halls and rooms until they were in them, and they could not see on the roof at all. TOC, SWAT, and EMS personnel were better protected because the advanced technologies allowed them to see explosive devices through the UGV and the UAS video without exposing themselves. In the baseline, the only way they could find them was by exposing themselves. Utility is the state or quality of being useful. Therefore, the advanced technologies had great utility for the First Responder in this school-shooting scenario. They used them to identify and “clear” avenues of approach and points of entry; see where they could not see without them; locate explosive devices without exposing themselves; identify and attempt to assess casualties; “clear” rooms, and maintain visual of an area, object, room, or hallway without dedicating personnel. Had the First Responders conducted the advanced technology trial without the capability to distribute the video via IP based applications on smartphones and other devices, the only officers who would have seen the video would have been the operators of the systems and those who could look over their shoulders to see the respective displays on the Operator Control Units. EMS personnel would not have been able to see the video at all, since they were in a staging area away from the TOC for most of the time during the trials. The UAS, UGV, and distributed video capability assessed in this experiment were of great value and utility to the First Responders in this school-shooting scenario. 1. United States Census Bureau, Statistical Abstract of the United States: 2012. There are 16,570 incorporated places in the United States with populations of 10,000 people or fewer and 1,542 incorporated places in the United States with populations of 10,000-24,999 people. (16,570 +1542= 18,112). 2. The population of Eufaula in 2010 was 13,137 (U.S. Census Bureau). 3. United States Census Bureau, Statistical Abstract of the United States: 2012. There are 723 incorporated places in the U.S. with populations of 25,000-49,999 people, 432 incorporated places in the U.S with 50,000-99,999 people; 200 incorporated places with 100,000-249,999 people; 40 incorporated places with 250,000-499,999 people; 24 incorporated places with 500,000-999,999 people, and 9 incorporated places with 1,000,000 or more people (723+432+200+40+24+9=1,428).